If you’re using the OneNote desktop app — as opposed to the OneNote app from the Windows Store — there’s an awesome convenience feature that you may not be aware of, especially if you just migrated over from Evernote How to Migrate from Evernote to OneNote, and Why You Should How to Migrate from Evernote to OneNote, and Why You Should Do you think that Microsoft OneNote is better than Evernote? Or maybe, it just suits your project management style. Either way, here's how you can migrate all your notes from Evernote to OneNote easily. Read More . It’s called the Quick Access Toolbar and it can make your life a whole lot easier. By default, the Quick Access Toolbar sits right in the title bar. It contains a customizable set of commands that you can use at any time, regardless of which notebooks, pages, or ribbon tabs you’re currently viewing. Navigate to File > Options > Quick Access Toolbar. Here you can add or remove a bunch of commonly-used commands, like formatting, insertions, drawings, and more. If you don’t see something, try changing the Popular Commands dropdown to All Commands. The downsides are that the button sizes can’t be changed and the buttons can only be displayed on one row, even if you have dozens of them. Even so, the Quick Access Toolbar is great, so make sure you’re using it. Keep going with these OneNote productivity tips 5 Ways to Get Productive With Microsoft OneNote 5 Ways to Get Productive With Microsoft OneNote Do you feel the need for an offline organization tool that also exists on the web? Surprisingly, Microsoft has come up with the perfect solution - OneNote. Read More along with these unique uses for OneNote 10 Unique Ways to Use Microsoft OneNote 10 Unique Ways to Use Microsoft OneNote OneNote is one of Microsoft's most underrated apps. It's available on almost every platform and can do many tricks you wouldn't expect from a note keeping app. Read More . And if you weren’t aware, OneNote is totally free now OneNote Is Now Truly Free With More Features Than Before OneNote Is Now Truly Free With More Features Than Before Evernote no longer rules the roost of note taking apps. Microsoft recently announced OneNote would be more free than ever before. Let us show you what this means in terms of features and functionality. Read More so give it a try if you aren’t already using it! 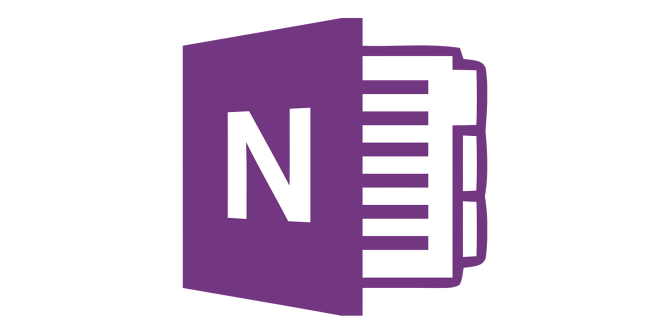 How do you like OneNote? Got any productivity tips of your own? Share with us in the comments!